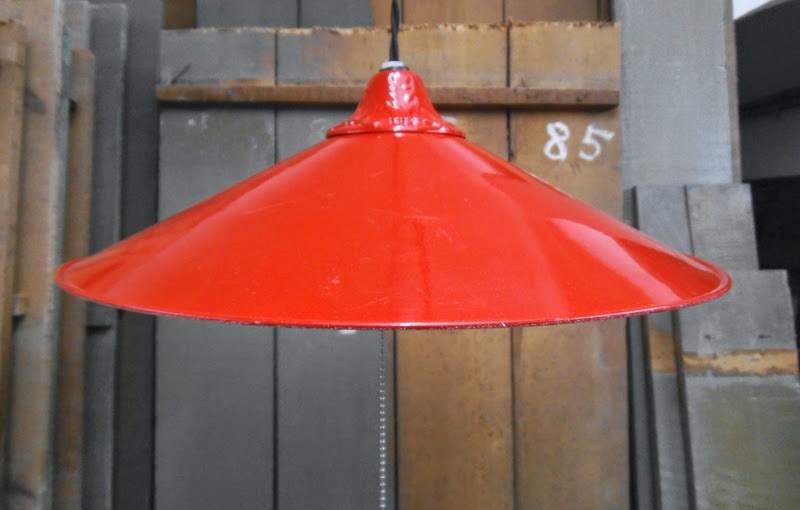 I got this vintage lamp shade some time ago, it's enamelled in a lovely bright red colour, plus it sports a matching decorated canopy on top. That's why I decided to mount a lamp that would hang low, and incorporated a light bulb socket with a pull switch made out of ball chain and a nice glass bead, also in bright red. A braided cotton cord in black completes the vintage, farmhouse look. 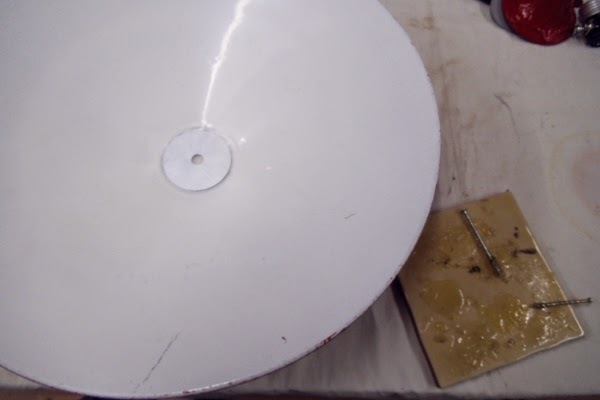 Measures: shade 11cm heigth, 37cm diameter. 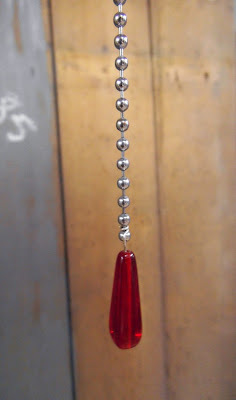 Cord 1.3 meters long. 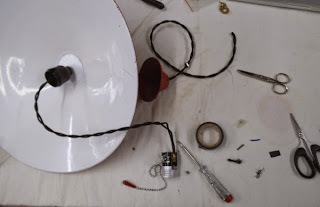 Changing the switch chain for a longer, more suitable to the general design of the lamp one. 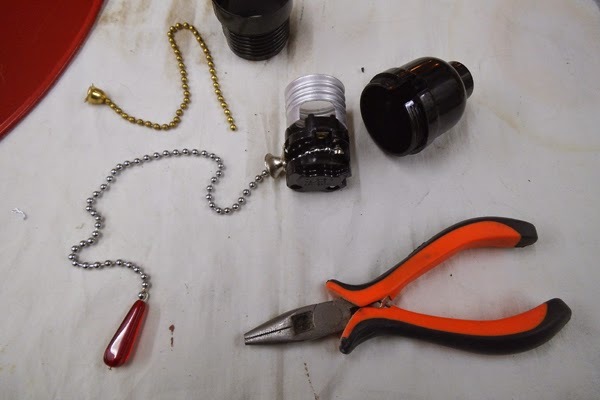 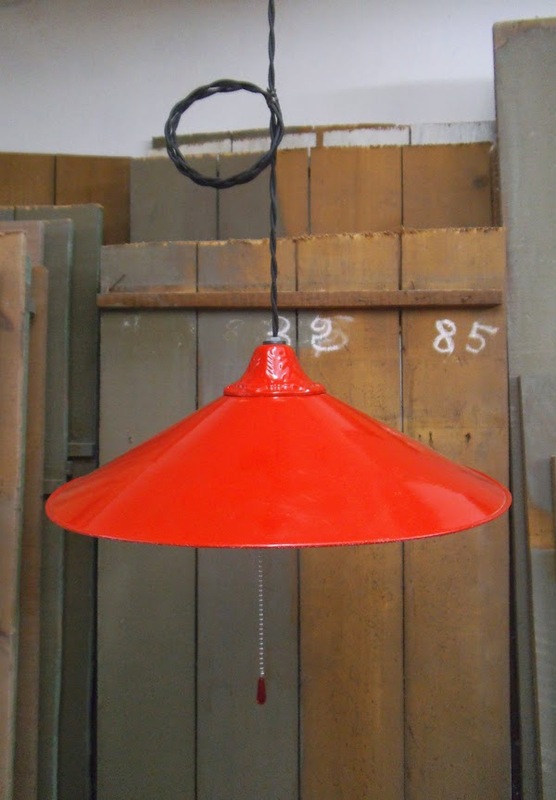 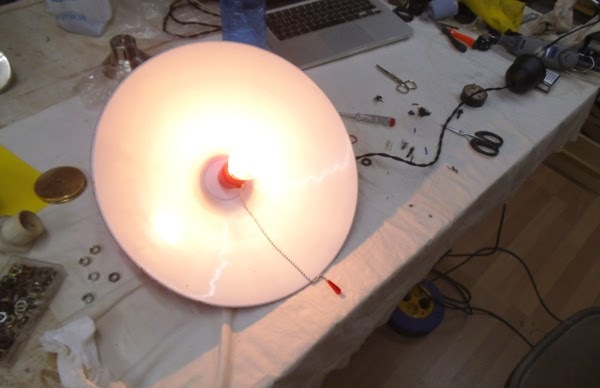 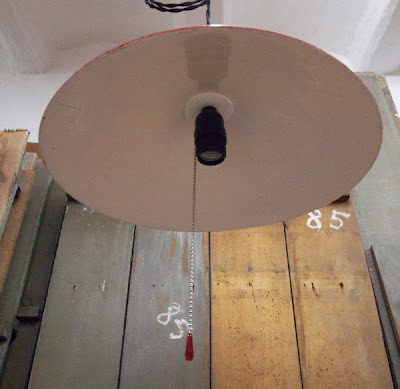 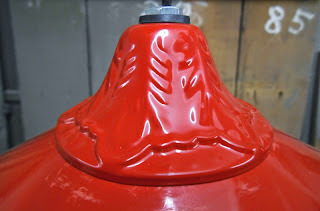 (I have also added a glass bead in the shape of a drop, in brigh red) - Attaching a big washer, painted with white enamel, to the central hole of the shade: this allowed the bulb socket to be properly mounted.